Warm days often give way to cool nights at the lake, especially while out on the water. 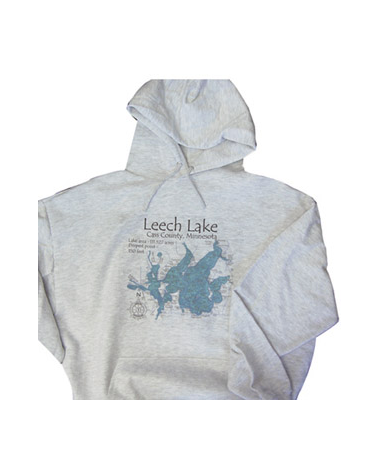 Keep comfortable with our “Lake Map Sweatshirt." The artwork depicts your lake down to its finest detail. Get one for the whole crew--they make the perfect gift. 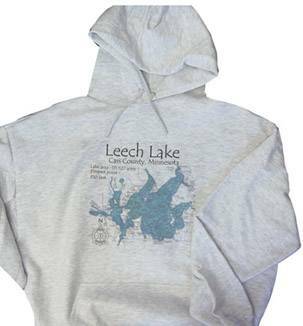 Available as a gray hoodie or crew and in adult sizes from small to extra-large. The sweatshirt is 90% cotton and 10% polyester.